Pregnancy can be daunting for many women around the world, particularly in low-income countries with limited health infrastructure. But learning your child will be born with a cleft or other birth anomaly is something few mothers-to-be are prepared for. Soledad, 31, felt fearful and anxious when she found out her child would be born with a cleft. 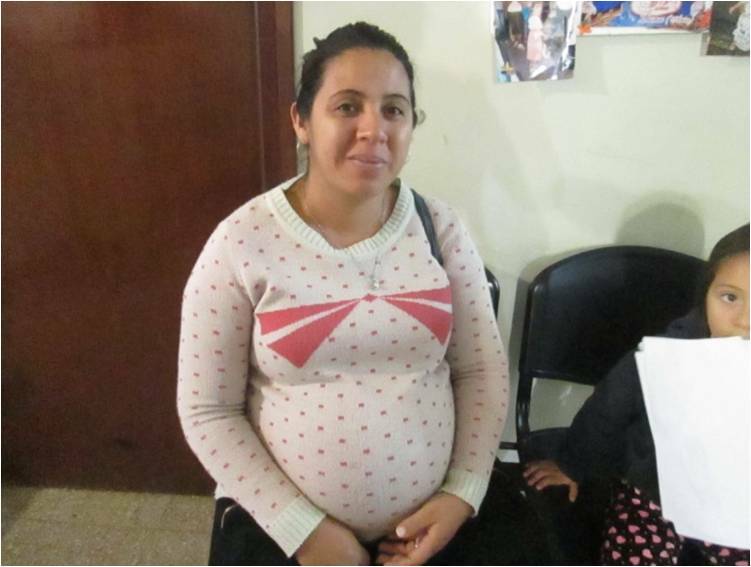 She sought out our partner organization in San Miguel de Tucumán, Argentina, Fundación Gavina, where she began receiving prenatal care. With support from psychologists and foundation staff, here she was able to receive the support and education she needed to manage her health and well-being. On July 7, 2015, Soledad gave birth to her son Ignacio. She was thrilled to welcome her newborn boy and spend time with her family. She plans to soon continue care for herself and Ignacio at Gavina. TF and our international partner organizations believe in providing quality, comprehensive care to our patients and their families for as long as they need. For many families, this process begins long before birth and extends into adulthood. Learn more about this lifelong approach to care.